The MV Film Society presents a long weekend of feature and short films that celebrate the convergence of music, culture, and film with engaging films, receptions and live-music events. 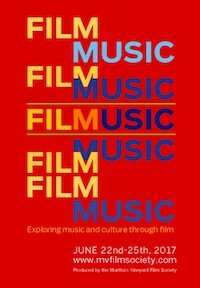 Music and film flow naturally together. Our fifth annual FILMUSIC Festival will bring you closer to the music you love, or introduce you to some you’ve never known, with great films and live music!